Smart Probes | Don Wolf & Associates, Inc. 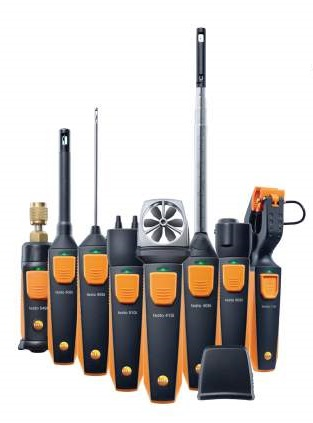 The job of servicing HVAC systems is now a lot faster and easier with Testo’s new Smart Probes. The First Family of Smart instruments is a collection of probes that work with your smart phone or tablet to monitor and store measurement readings. The free App allows you to quickly and easily calculate performance and seamlessly document results in reports or data sheets, which you can store or send via email or text. The testo Smart Probes App: One App. Eight Instruments.Many advantages.